Several years ago some marketing consultants got smart and realized that CFO's and other finance centric professionals live in a world that is focused on ROI (Return on Investment) and want to run spreadsheets that show the outcomes of dollars spent before committing to the expenditures. Since the money people make many decisions, these consultants and other "gurus" created programs that spoke the language of the finance department and created "ROI" algorithms to sell their services to these decision makers. 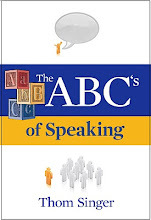 By speaking their language they were able to appear more intelligent (key word: appear) and win the business. Left-brainers everywhere rejoiced, as now these disciplines were under their control. For too long marketing, business development, networking, direct mail, advertising, branding, PR (and more recently social media) were viewed by the left brain professionals as "the Black Arts". They admitted that these were necessary, but since they were more creative and not always predictable, that they were some how less important to the success of a company than the more predictable departments on the org chart. However, while this trend toward analyzing "return on investment" on everything makes people feel good -- it has paralyzed many companies. During a job interview years ago I told a CFO that sometimes to find success in marketing you have to try a variety of tactics. I used the old saying "throw some spaghetti against the wall and see what sticks!" The CFO responded that if a marketing campaign could not prove out results in advance, then his company would not do it. "No spaghetti could hit the floor!" The company hired a "ROI" oriented marketing manager (they did not hire me) and the company had minimal success in growing its image. The person they hired lasted 14 months on the job before the company changed direction, yet again. While you do not want to waste dollars in promoting the image of your company, if you think there is a magic formula that will guarantee success, you will spend your life over thinking every opportunity and you will miss out on the allusive successes you seek. There is a difference between throwing money around and having an instinctive feeling on how to have an impact on your company's positioning in the marketplace. Instead of spending hours looking at the return on every investment on a spreadsheet, you should redefine the definition of ROI in regards to marketing. ROI = Rely On Instincts. Raising the visibility and brand of your company is not as easy as building a new website, joining Twitter, or sponsoring an industry conference. You need to fine tune your instincts or hire someone who knows the landscape of how all the "black arts" actually work together. Take social media for an example: The term is getting a lot of attention in business circles, but it is not magic. Just like advertising, PR, networking, marketing, or branding alone will not make you rich.... social media is just another tool (although a trendy tool as this is being written). There are many "experts" advising companies on ROI in this medium, but I have seen few who can deliver the goods they present in a brochure. The real success here comes from hands on involvement of the company's executives. You can't outsource authenticity. In a vacuum none of these marketing related disciplines will rocket your success toward the sky. But when strategically used together, they will have the long lasting power to help bring in new business. If your instincts are rusty on these right-brain activities, then you need to do a little work and experimentation. You can learn to understand how to help promote the image of your firm by paying attention to the world around you. A good lawyer does not stop studying new laws and statutes that come into play and just rely on what they learned in school. They keep fine tuning their practice. (Note that it is called a "practice", which means they never master it... but keep working on the whole process!). Likewise an accountant will not rely on tax law from 1989 to prepare their client's return this year (at least you would hope not!). I expect this post will not be well accepted by those who want the world to be viewed in black and white... and by those who use fancy words and spreadsheets to win the business from left brain decision makers. But I am not attacking, as much as I am asking people to love the gray area for the possibilities for growth that are living there. This week New Year Publishing hosted the 1st Annual "Authors Conference" for those who have published, or are working on publishing, their books with the company. It was a great event. We had dinner on Thursday night, followed by a half day seminar where we discussed many topics that are important to authors and speakers. As the company grows we look forward to continuing to work with executives, professional speakers and children's authors in assisting them on creating quality products that help them to promote their brands. I would like to take a moment to publicly thank those who presented at the conference: Markia Flatt (PR by the Book), John Moore (Brand Autopsy), and Jim Comer (When Roles Reverse). 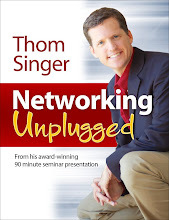 They each provided amazing advice on PR, Social Media and the book & speaking businesses. 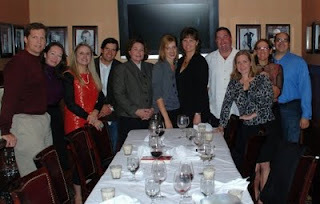 Another thank you goes to the Austin Office of the Andrews Kurth Law Firm. 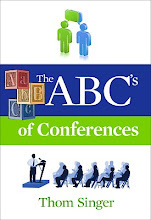 Several years ago I worked at Andrews Kurth as the director of business development, and they graciously provided me with a conference room to host the "Authors Conference". Lawyers often receive the bad end of jokes and comments.... but these attorneys are good people who are willing to help a friend! The firm has a long history of serving early stage and start-up entrepreneurs, and this continues today. We look forward to additional years of the "Authors Conference" as the New Year Publishing family continues to grow. Join the Austin Business Journal for an informative seminar on how to make the most from networking at holiday parties and planning your business sales and referral goals for 2010. The busy few weeks between Thanksgiving and Christmas are full of opportunities to network, meet new people and strengthen business relationships. 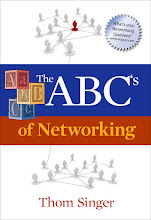 However, many people are overwhelmed by the amount of merriment and waste the chance to give their networking efforts a boost. Additionally, the change to the new year is a great time to set business goals and make plans to extend your referral network. This seminar will be full of tips on how to make December and January your launch pad for a more successful 2010. Let me know if you are planning to attend!!! I am fascinated by how many people do not know their neighbors. When I was a kid all the people on the block knew each other. All the children knew that everyone was watching them (and would report back undesirable activities to mom and dad). Today the connectivity amongst people on the block is not as strong. Sure, there might be some people you know, and the courtesy wave is popular when folks walk by... but many people don't know that much about those who live close to them. It is worse at work. Do you know the people on your block? In your building? In your elevator bank? How about on your floor?. There is no excuse not to know the people who work on your floor. If your work for a company that is not so large as to occupy the whole floor... and you don't know the workers in the business next door -- then shame on you. 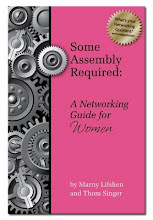 This gets you an "F" in Networking 101. But you can bring your grade up. With the holidays coming... make this the point that you meet the neighbors. Invite the other companies on your floor to your office for lunch. No agenda, just people meeting people. Cater in sandwiches and have everyone go around the table and explain who they are and what is their role at the company. Maybe they will become a great referral source. Maybe not. Either way, next time you are waiting for the elevator you will be able to talk to each other instead of staring at your shoes. Making friends is always a good thing. Same idea for those who live on your block or in your apartment building. I had a conversation about business with a professional who works hard, earns an above average income, and is admired by those inside and outside his company. The guy is an up-and-coming leader in his industry, but has not yet reached the corner office. He has worked for the same corporation for several years, works hard, produces results, and has received awards and other kudos. He is the ideal employee and my guess is his employer sees him as a happy and dedicated part of the team. Yet he is disenchanted. And he is not alone! I have the pleasure of talking with people from all walks of life and large numbers are not happy with their professional situations. Most believes that their business communities have lost the "humanity quotient" in the quest for efficiency. The rough economy has caused businesses of all sizes to focus so tightly on the balance sheet that they have lost the personal element. Too many professionals have begun to show a distrust of everyone around them. I have witnessed both sole proprietors and large company executives who see any minor "mis-communication" with friends, vendors, clients, co-workers, or others as a personal assault or threat. Like Humphrey Bogart (as Lt. Cmdr Queeg) in the "Caine Mutiny", they have lost perspective and are counting every strawberry. Fear, distrust, finger-pointing, and back-stabbing (which have always existed) are now an accepted part of office culture and nobody seems to notice (or care). The most cynical amongst us will say this is nothing new, that these dark feelings are always present in the work world. But in my twenty-plus year career I have not witnessed so many people functioning in misery about their careers. Professional envy and jealousy are no longer hidden from view, but openly accepted. This loss of the "humanity quotient" in our businesses is real. Regardless of if you are the boss or an employee you can have an impact in restoring the "humanity quotient". Slow down for just a moment and notice the people around you. Smile at others. Take an interest in what matters to those around you. Before you get angry, take a moment to put yourself in the other person's shoes (you might discover that from a different perspective, the world does NOT revolve around you). Be nicer. Be helpful. Shower somebody in praise when they do something good. PS -- Have you ever read one of my books? Buy one today at Amazon.com. They make great holiday gifts!!! I saw this video on Andy Sack's blog (it is from the Stanford University's Entrepreneurship Corner). It is six minutes long, but if you are an aspiring entrepreneur it is worth the investment of time, as it reminds us that there are always opportunities in our midst. When we challenge the assumptions and discover our true assets, success follows. I will be speaking at the SXSW Interactive Conference in March 2010, delivering a presentation called "How to Network at a Multi-Day Conference". I am very honored, as this is the third year I will be included on the schedule for this amazing event. If you work in or around the technology industries and have never attended SXSWi, you should make your plans for be in Austin, Texas from March 12 - 16, 2010. The conference is not only famous for great parties, networking opportunities, and the wonderful spring weather in Austin..... but it also delivers with over 400 panels and presentations that deliver real content. 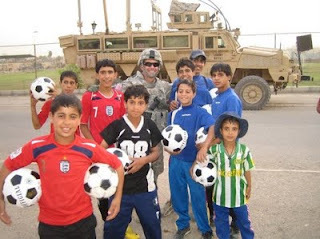 This week my friend Dan completed his 13 month tour of duty in Iraq and is returning home. I know Dan because he is a close friend of my business partners and I have met him several times (He hired me to speak at to his company in 2008). I was very impressed when I heard he had volunteered to return to active duty. He is a West Point graduate and former Army Ranger. After he completed his service he went to Harvard Business School, and then into the corporate world. He did not have to go back and serve our country. But he did by choice. Why would a forty-something father with a thriving career choose to go to Iraq? When asked this question by a friend, Dan replied "It's my duty. When I left the Army I made a conscious decision not to resign my commission in case something like this happened." It is people like Dan, and their sense of duty, that makes America great. Our service men and women are an amazing asset that have a positive impact and protect our freedoms. 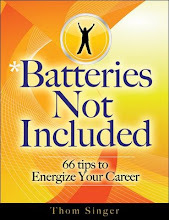 This week we celebrate Veteran's Day and in honor of my friend Dan's completion of his tour, my publishing company is offering a free copy of my new book "Batteries Not Included: 66 Tips To Energize Your Career" to the first 100 active U.S. military or veterans who email New Year Publishing and request a copy. The publisher will pay for the shipping and handling. Send an email to soldier@newyearpublishing.com. Include your mailing address. This week there has been a lot of news focused on the military due to the horrific event that took place at Ft. Hood. All of our thoughts and prayers go out to the families of those who were effected by this tragedy. The Austin Chapter of EO Accelerator is currently looking for a few good members. Do you, or someone you know, own a business with revenues between $250,000 and $1 million? Are you looking to grow your company to over the $1 million level. 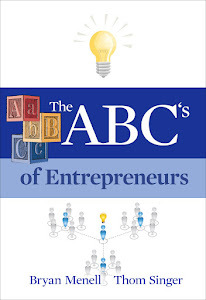 Are you seeking other entrepreneurs to learn from and share best-practices? As an early-stage entrepreneur, you face new challenges every day and at times you probably find yourself wishing you had an instruction manual for your business. It’s okay. You are not alone. Thousands of successful business owners have been down this winding road or entrepreneurship, and there is a program here in Austin that is designed to help. Accelerator, an Entrepreneurs’ Organization program, is the catalyst that enables first-stage entrepreneurs to catapult their business to the next level. EO Accelerator's mission is to empower you with the tools you need to grow your business to more than $1 million in sales and provide you with the skills to make yourself a better entrepreneur and leader. For more information, go to the EO Accelerator website, or send me an email and I will put you in touch with the rest of the Austin EO Accelerator team. 1. December 9th is the next quarterly "Learning Day". 2. 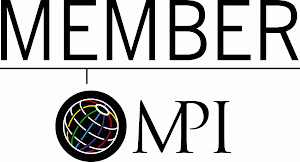 Put the membership dues onto your 2009 expenses. 3. The longer you wait to join, the longer it takes before you will see the benefits from your participation. 4. 2010 is your year to succeed. Surround yourself with other winners. 5. Making up silly excuses for why you can't join now is not becoming of a focused and driven entrepreneur. I am very excited about the first annual “Authors Conference” for the community of New Year Publishing authors. The company is hosting nine authors in Austin, Texas on November 12 – 13, 2009 for this inaugural gathering. The purpose of the event is to update the authors on the growth of the company, future expansion plans, the NY Publishing Charitable Foundation, NY Speakers Bureau, and to help build solid connections between those who are part of the New Year Publishing family. The event will include a great dinner at one of Austin’s most popular steak houses and a half day meeting where experts in public relations, social media and professional speaking will share best practices and lead interactive discussions with those writers and speakers in attendance. New Year Publishing is looking for corporate executives and professional speakers who wish to make their dream of completing a book into a reality. 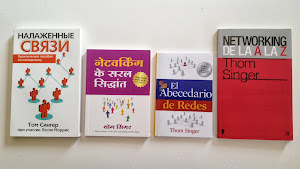 New Year Publishing has a solid platform of experience in creating books that will help promote the credibility and brand of the authors and their companies. For me, growing the community over the next several years is one most exciting parts of the business. We look forward to this first event, and we look forward to future events as the number of authors and book titles in the New Year Publishing catalog continues to grow. The Texas Tribune is a new non-profit, non-partisan public media organization that officially launched this week. They have recruited an amazing group of executives, reporters and supporters in this effort to create a new way for Texans to gather and interpret information. Their mission is to promote civic engagement and discourse on public policy, politics, government, and other matters of statewide concern. First, through the original journalism they report, write, compile, record, shoot, etc., and post online at their destination site, texastribune.org, and in the pages and on the sites of their distribution partners. Second, through on-the-record, open-to-the-public events: conversation series featuring elected officials and other newsmakers, conferences on major topics of interest to every Texan, an annual ideas festival, a college tour, and more. The point is that in-person experiences are themselves distribution platforms, and once the event is over, the audio and video of what took place becomes content of its own, likewise available on their site and beyond. To kick off the launch, they hosted a party for their friends and supporters at The Belmont. WOW, what a night. The event was the most eclectic gathering of Austinites I have seen in years. There were politicians, lobbyists, reporters (and other media professionals from television, print, radio, and internet), entrepreneurs, lawyers (and other professionals), accountants, philanthropists, local celebrities, venture capitalists, bankers, investors, ranchers, Realtors, social media practitioners, Republicans, Democrats, Independents, older folks, younger folks, and everything in between. Everyone had a great time. It was fun to see so many people from different walks of life all hanging out celebrating something new. It reminded me that we all have more in common than we have differences.... and that too often we put up artificial barriers because of the labels we wear (on purpose or assigned by others!). If The Texas Tribune can live up to its "non-partisan" charge and embrace the objectivity that I believe most people desire from news sources.... then I predict they will successfully navigate this experiment of non-profit journalism. I look forward to reading it daily! CLICK HERE to learn more about The Texas Tribune. Before my presentation last week to the Launch Pad Job Club I appeared on KEYE Channel 42's "We Are Austin" to promote the event, as well as talk about my books and the overall importance of networking to a successful career. CLICK HERE to watch the interview I did with KEYE's Jason Wheeler. On Friday I spoke to a standing room only weekly meeting of the Launch Pad Job Club. It was a great event. I am sorry there are soooo many people in the job market (over 300 people were in attendance for my presentation), but if any Austin companies are looking for great talent, I can assure you that there are qualified enthusiastic people actively seeking employment in a variety of industries. This event was my 49th presentation of the year (my goal was 52 talks in 2010, so we will achieve that by year end). I especially enjoyed this audience because of their attitude. I met several people following the talk who are fired up about finding that next opportunity!!! If you are currently in the job market in Austin, you should get involved with this job club. Kathy has done a great job in creating an atmosphere that encourages both education and support for those seeking employment. SAVE THE DATE - If you live in Austin and have never seen me speak before I encourage you to come to the Norris Conference Center on Tuesday, December 8th from 7:30 - 9:00 AM for an informational, educational and motivational seminar. The topic will focus on how to get the most out of your business relationships in the holiday season and into the new year. With the invitations to holiday parties about to hit your inbox, a little planning can go a long way in maximizing the power of your networking activities. Additionally, the new year brings with it a sense of a clean slate, and a perfect time to reach out to clients, prospects, referral sources and others. CLICK HERE to register now. This event is sponsored by the Austin Business Journal and will most likely be my last open presentation in 2009. Share this information with friends, co-workers, etc... sign up today while space is still available.